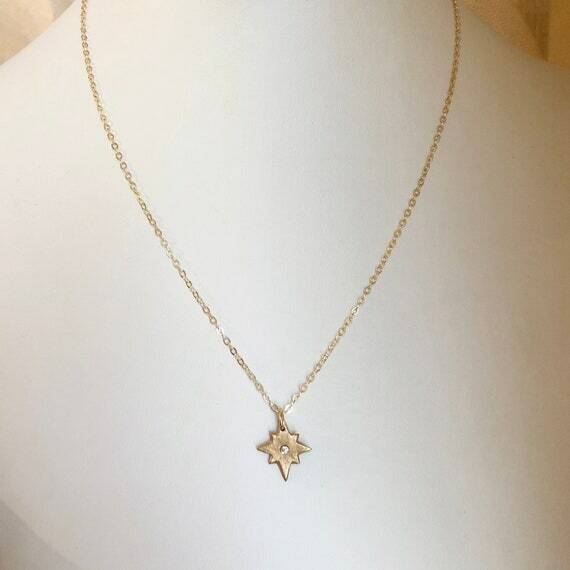 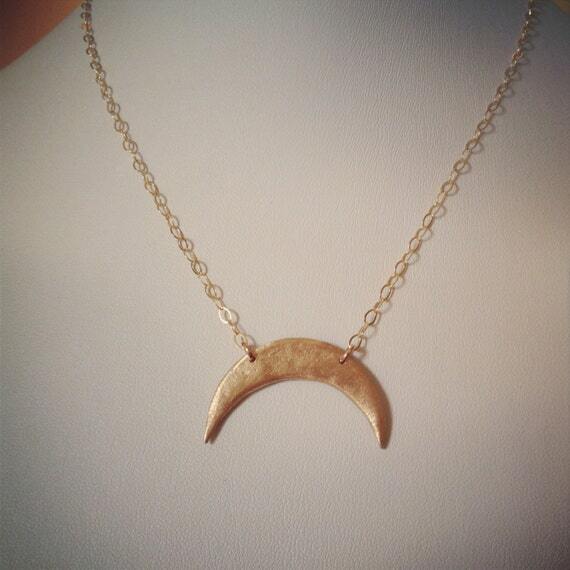 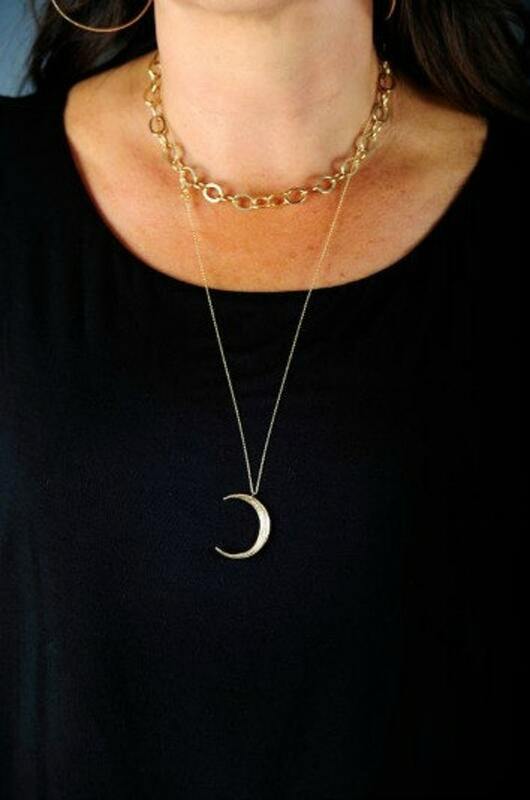 This necklace represents the crescent moon-just a sliver of beautiful glowing bronze on a 22" 14k gold-filled fine chain. 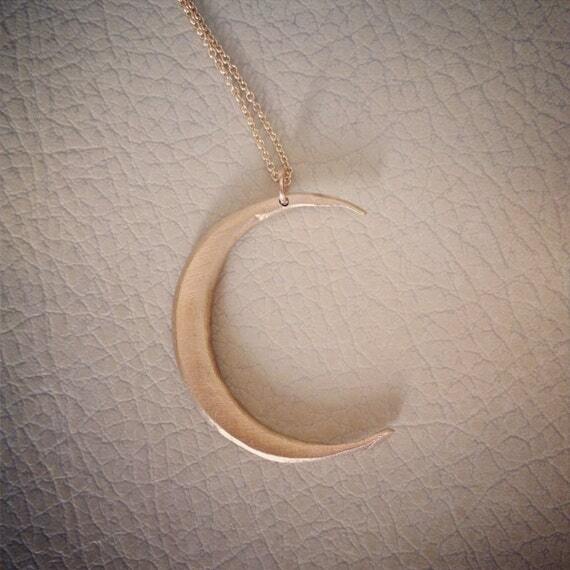 The moon itself measures approx. 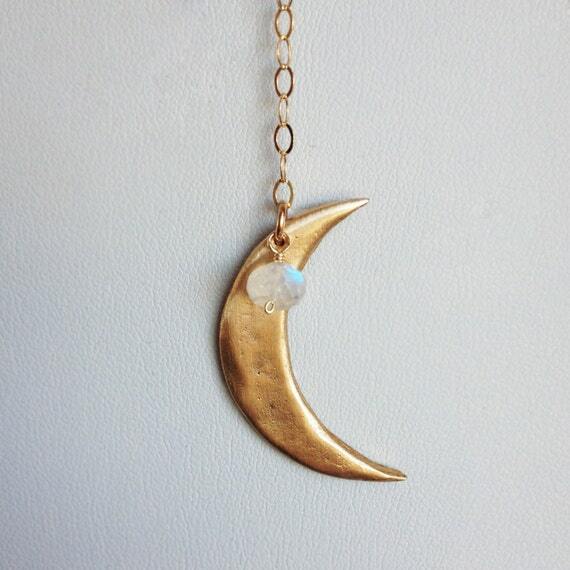 1"x1.5"
Be a goddess of the night!